NKN (short for ”New Kind of Network”) is a self-incentivizing, new type of network connectivity protocol and ecosystem based on blockchain technology, which aims to establish an open, shared and decentralized Internet. NKN intends to tackle the myriad of problems associated with the Internet, such as issues related to net neutrality, inefficient resource utilization, and centralized network control, and rid it of them. Through doing this, NKN aims to become what they refer to as ”the third pillar of blockchain”. Just like Ethereum has arguably already done for computing, and Filecoin has done when it comes to storage, NKN is attempting to disrupt and decentralize network connectivity and transmission dramatically. NKN has also got its very own blockchain technology, which sports essentially new Proof-of-Relay, as well as feature highly scalable consensus. NKN’s aim is also to tokenize data transmission and connectivity capabilities. 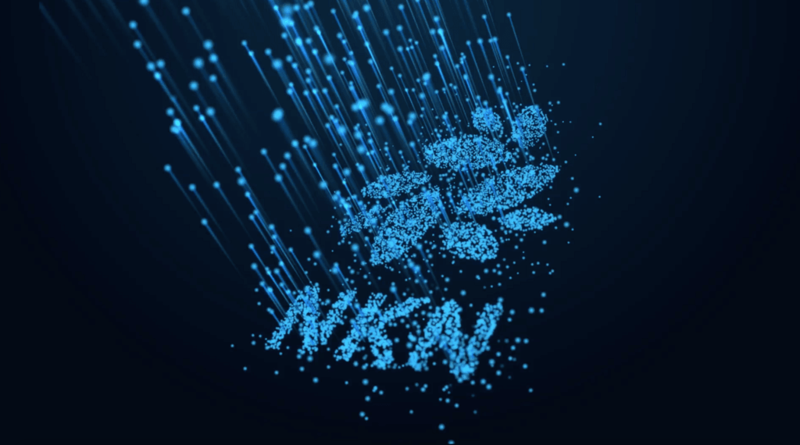 NKN will, for example, provide participants who help route and relay traffic for other users with rewards in the form of NKN tokens – something which will make the network more resistant to attacks, as more nodes join the network. NKN says that their network will be able to dramatically transform the reportedly $1.4 trillion communications business. Moreover, NKN argues that the network will be ”ultra open”, with true scalability and peer-to-peer connectivity, and the network will be developed in close cooperation with the NKN community in developing what NKN claims will be ”more than a ’New Internet’”. A tall order, to be sure, but not necessarily an impossible one. It would seem that the advent of blockchain technology, which some are already hailing as a ”fourth industrial revolution”, could potentially facilitate a transition to a ”New Internet”. Anecdotally, viewers of the HBO hit comedy series Silicon Valley are bound to draw parallels between the fictitious Pied Piper company, which similarly attempt to develop a ”New Internet”, and that of NKN’s ambitions. One of NKN’s co-founders, Justin Wang, pointed out that this comparison was somewhat apt – however, unlike the company in the HBO series, NKN is already well underway when it comes to delivering their ”New Internet” as a viable product. NKN is also founded by Yanbo Li, who has previously helped found Onchain. Furthermore, Dr. Whitfield Diffle, widely hailed as the father of modern public key cryptography and the winner of 2015’s Turing Award. In addition to these heavyweights, the core NKN team also consists of personnel that has previously worked at companies such as Google, Baidu, Qualcomm, Amazon, and Nokia, to name a few. Today, Dr. Yilun Zhang, CTO of NKN Labs, announced the open source of NKN core at CPC Crypto DevCon, 20 days ahead of schedule. The technical highlights of core open source are DDTN, MVCA Consensus, PoR, RPV and full node NKN address scheme. Dr. Zhang also announced that NKN testnet preview would launch on June 16th and mainnet launch would happen during Q2, 2019, which is one quarter ahead of schedule. It should also be mentioned that NKN has joined a series of different initiatives, such as the Telegram Infra Project, the Open Networking Foundation, and the blockchain organization has already established ties to the Wi-Fi Now corporation. It remains to be seen whether NKN can successfully transform the Internet using blockchain technology; however, these latest announcements and advances have no doubt been of great interest to the cryptocurrency community.